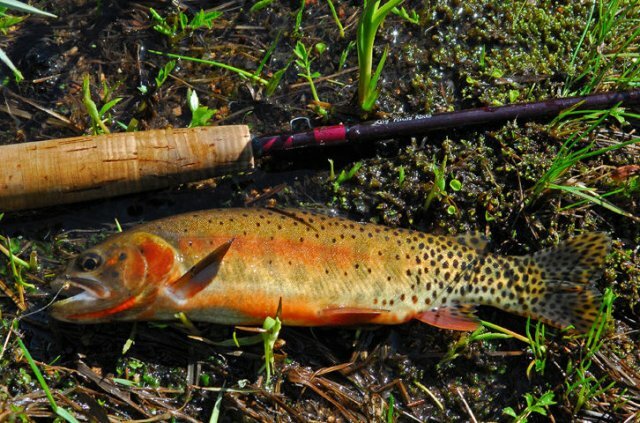 Can triploid cutthroat improve fishing in backcountry lakes? Biologists completed a three-year study of mountain lakes to compare two kinds of trout used for stocking. Fishing has long been one of the main attractions on Priest Lake and Upper Priest Lake. However, fishing at these scenic lakes has changed a great deal over time. Historically, the fishery was supported by three native sport fish, westslope cutthroat trout, bull trout, and mountain whitefish. Fishing for cutthroat was the most popular throughout the early 20th century. Native Bull Trout and Westslope Cutthroat have been the target of Upper Priest Lake anglers throughout history. These native species continue to provide good fishing opportunity, but not without some assistance. Since the early 1990’s, non-native Lake Trout have been present in Upper Priest Lake. Lake Trout generally compete with or prey upon Bull Trout and Westslope Cutthroat. This results in weaker populations of these native species. Two species of Idaho fish are the subject of a fascinating series by the Western Native Trout Initiative, a private/public collaboration that partners to conserve native trout and their habitat in the West. Priest Lake anglers can expect Kokanee fishing to be similar to what they found last year. Idaho Fish and Game Kokanee monitoring efforts suggest Kokanee numbers remain low, but the fish that are caught should be good sized (likely 14-16"). Although a small increase in Kokanee abundance was observed between 2011 and 2013 in Priest Lake, the upward trend hasn't continued in recent years.